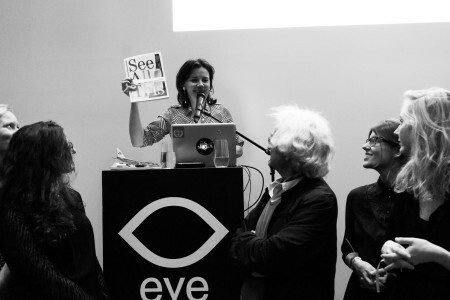 Last week, Nicole Ex, founding editor of See All This, performed at ARTtube On Stage at de Brakke Grond in Amsterdam. ARTtube On Stage brings videos about art, design and fashion to the big screen. Guest curators present their favorite video about art, and in between screenings, the makers provide a behind the scenes look. Nicole talked about the mini documentary on James Turell. For who missed it: in this blog she tells the story once more, of her visit to the Roden Crater of James Turell (a spot that is on the bucketlist of many art lovers). There are certain things of which you know exactly how they came into your life: people, animals, homes, cities, pieces of landscape and in my case works of specific artists. 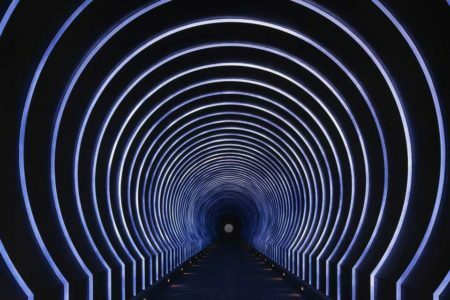 My love for light artist James Turell started in Venice in 2007, where my two small sons and I had visited the exhibition Artempo – When Time becomes Art at Palazzo Fortuny. ‘Stick you hand out’ said the guard, when he saw us standing in front of a luminous rectangle against a flat wall. We were surprised. Never before had we been invited in a museum to touch an artwork. Our hands didn’t touch the wall, but slit through the flat surface into an unknown space. James Turrell (1943) investigates light, space and our perception of it. It leads to optical illusions and magical experiences. His masterpiece is located in the Arizona desert, where he works on ‘the biggest contemporary artwork’ in the world, that is already called the eight wonder of the world. He turns a deserted volcano into a ‘naked eye observatory’. Roden Crater houses a network of tunnels, passages, circular spaces and elliptical holes that provide a view on the sky, the sun, the moon and the stars. 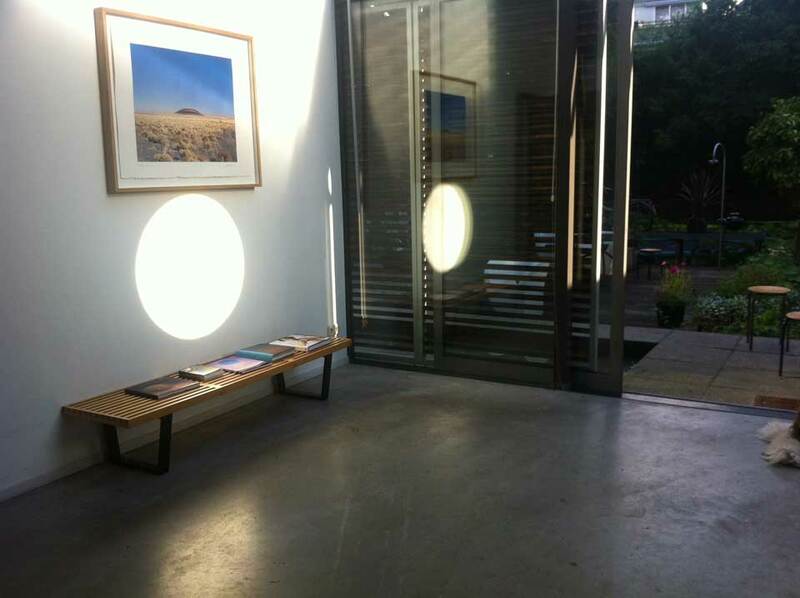 Photographs of Roden Crater by James Turrell on the walls of Nicole Ex’s house. In 2012, I bought a registration picture of Roden Crater, seen in the middle of the ancient desert landscape against a bright blue sky. In the Summer of 2013, I was fortunate enough to visit Roden Crater. It turned into a pelgrimage, a spiritual experience in space and time, because Roden Crater is a consecrated site where the architecture of the sky touches the earth and the moonlight reaches the center of the crater. It took years before James Turell released photographs of the interior, let alone allowed for the presence of a film crew. So the 8 minute mini documentary below is unique, made by the LACMA – Los Angeles County Museum of Art. The video doesn’t come close to the real experience, but is nevertheless impressive enough to watch. See All This is here to stay!